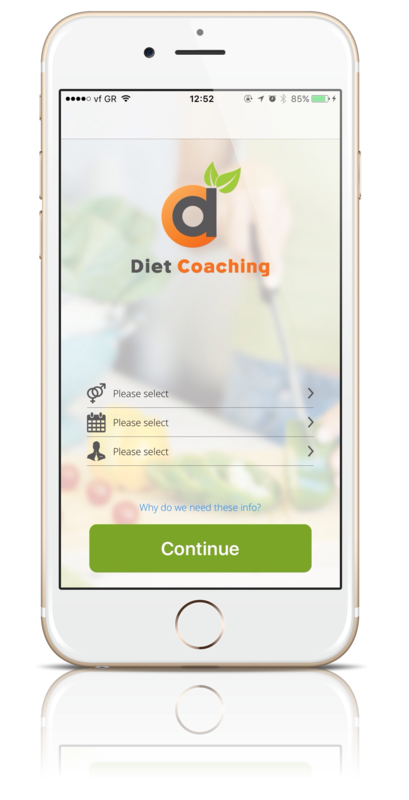 A "smart application" that animates the proposals for nutritional care from the book "Thin ... positive"
Let the application coach your diet and be the dietician of yourself! “Diet coaching” is a "smart application" which animates all the proposals for an adequate nutrition from the book "Thin ... positive - Secrets to control hunger and nutrition" of the dietician -nutritionist Evangelos Zoumbaneas and applies them through many balanced and delicious suggestions or recipes. The ideas and the recipes especially emphasize on the creation of a "Smart Meal Plate" based both on the years of Mr. Zoumbaneas long professional experience and on enriched delicious ideas made by the suggestions of his colleagues. All the recommendations are based on the Mediterranean diet plan, giving extra flavor and color to the everyday life through an imaginative application. 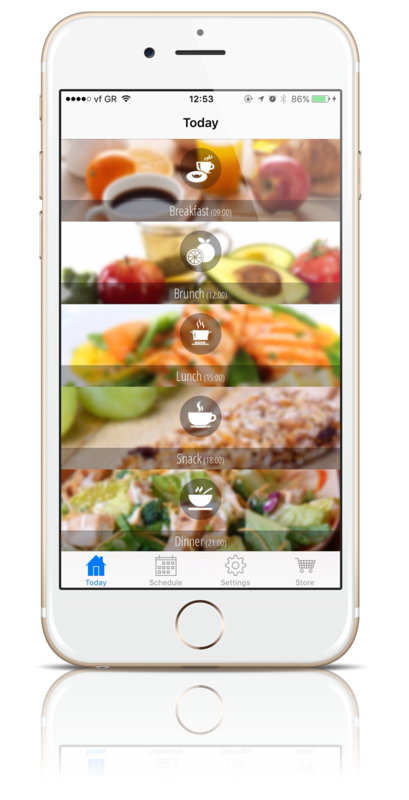 You can now download the basic demo application for free and start planning your daily diet schedule, simply by creating adequately combined meals, from breakfast to dinner. 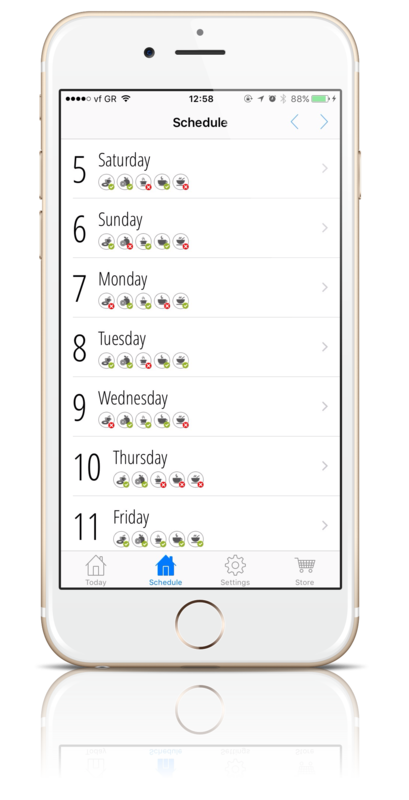 Each user has now multiple food choices in his hand to create his personal daily menu with many ideas and recipes for everyday use. According to his appetite, each one can choose a food item of his desire and use it to make a complete meal plate or light snack, ensuring both good nutrition and positive attitude, which further implies to good health and proper body weight. 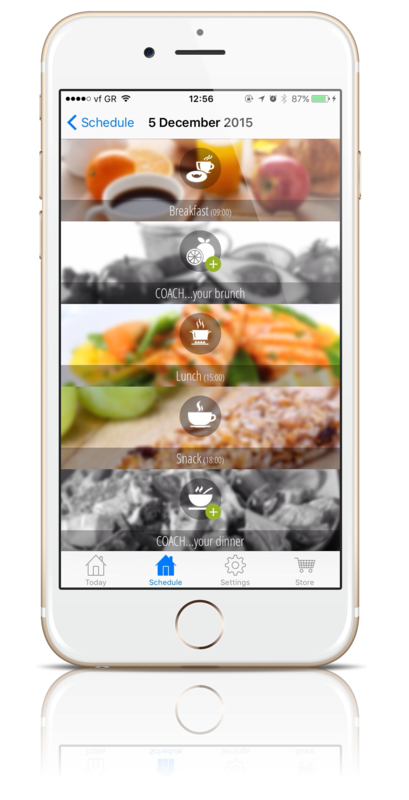 Let the application coach your diet and be the dietician of yourself! By completing the forms given with some details about yourself, your very own personal dietitian is for now on in your hand. You can build step by step your own nutritional program, making "triads" for the main meals and "dyads" for intermediate snacks. Choose a meal, for example start with the "Breakfast", by clicking on the name of the meal. 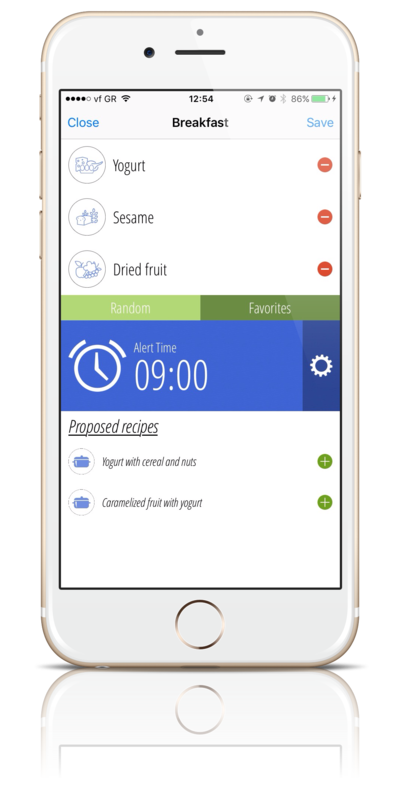 Then, all you have to do is to choose a "food" from the category of "protein", "starch", "fruits / vegetables', selecting either a" food "or a "recipe" for each "food" category or you can also choose a recipe from the proposals below, according to the materials selected. Then press "Save" and you have create a balanced meal according to your personal tastes of each moment! 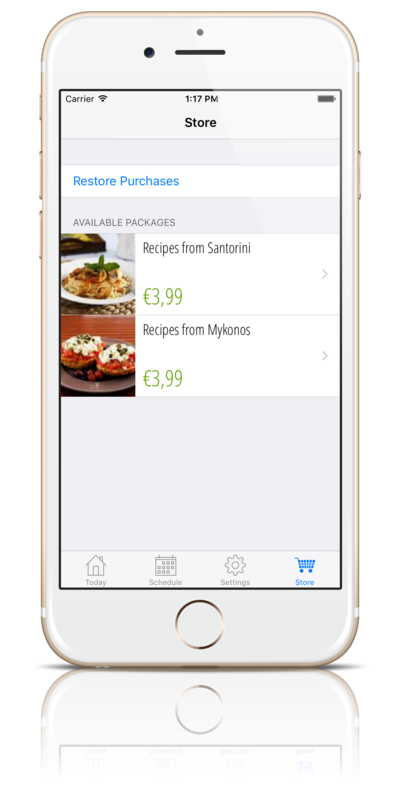 If you have selected a recipe or a food combination from the proposals, the prescription of its execution, the materials needed and the "photo" of the recipe, will appear bellow. Accordingly, for the intermediate snacks, you have to follow the same procedure, selecting either a "food" or a "recipe" for "starch" and an item for "fruits/vegetables." So easily you can take care of yourself, nourishing you appropriately and achieving health of body and mind and an ideal body figure. Do not forget occasionally to check for updates by selecting "settings" at the bottom of the application and "check for updates". The choices and recipes for a healthy and delicious diet plan never end!